The products will include the Kinmemai Better White and Better Brown which is different from conventional white and brown rice products. The 5kg Kinmemai Better White. The Kinmemai brand was launched in Japan in 2006 and is considered a specialty in Japan. It is available in Japan’s leading supermarkets, top dining restaurants and even on board all Nippon Airways’ first and business classes. Today, the brand is being shared across the globe, including here in Singapore. This process is a state-of-the-art rice buffing technique that is gentler and more precise than the current conventional polishing techniques. It also removes just the water-resistant, indigestible wax layer around the husk of the grain, thereby retaining its beneficial elements, including vitamins B1, B6, E, B3 (niacin) and folic acid (the process varies between the Kinmemai Better Brown and Better White products). The rice products are also tastier and sweeter than conventional rice and has an umami flavour. The Kinmemai Better Brown 1kg and 5kg bags. 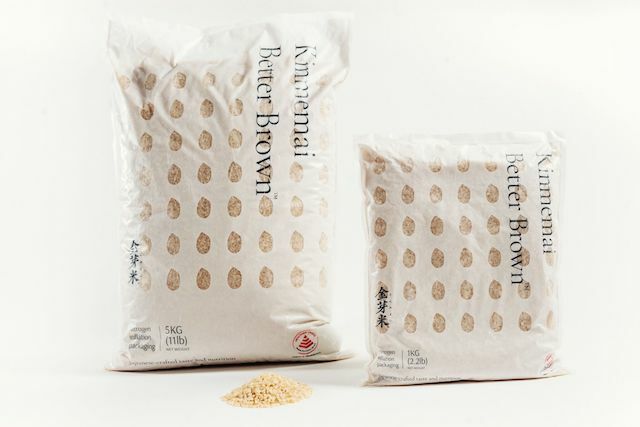 Those who find conventional brown rice rough and dry can consider Kinmemai Better Brown, which has a smooth texture and the taste is indistinguishable from white rice. Also through the Kinmemai Process, only the wax layer of the brown rice is removed which results in a fluffier, easier to digest and quicker-to-cook brown rice. 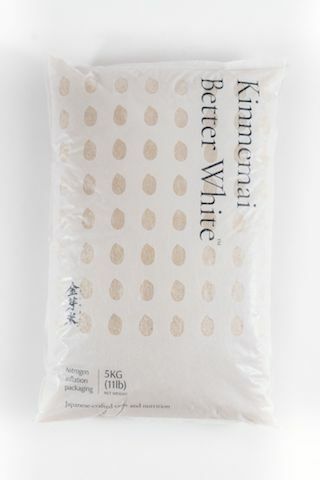 Kinmemai Better White costs S$9.40 for a 1kg bag or S$41.50 for a 5kg bag, and Kinmemai Better Brown costs S$9.80 for a 1kg and S$44 for a 5kg bag. It will be available at Cold Storage, Jason’s Market Place and leading Japanese supermarkets from mid-June 2017.